After one of the most memorable finals series ever and a bevvy of controversial rule changes, Australian rules football is finally back on the big screen. Those huge law changes mean people are less certain than ever as to who 2019’s contenders are – but that does mean Round 1 is even more of a must-watch prospect than normal. 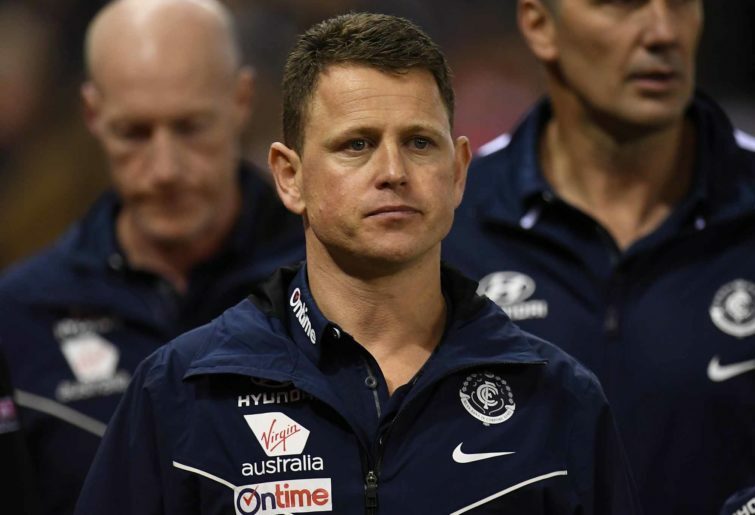 The new millennium has been most unkind to Carlton, with 2018 proving to be another low ebb in what’s been a long, dark chapter for the navy Blues. He may have one of the most inexperienced squads in the competition, but the honeymoon period is well and truly over for coach Brendon Bolton after his side won a paltry two matches last year. But one of the brightest moments came in this fixture, with the Blues stunning everyone after kicking the first five goals against the reigning premiers. Richmond came back to score a 26-point win, but Carlton looked to be a respectably competitive side – at least for an evening. For Richmond, this offseason would have been unbearably long. 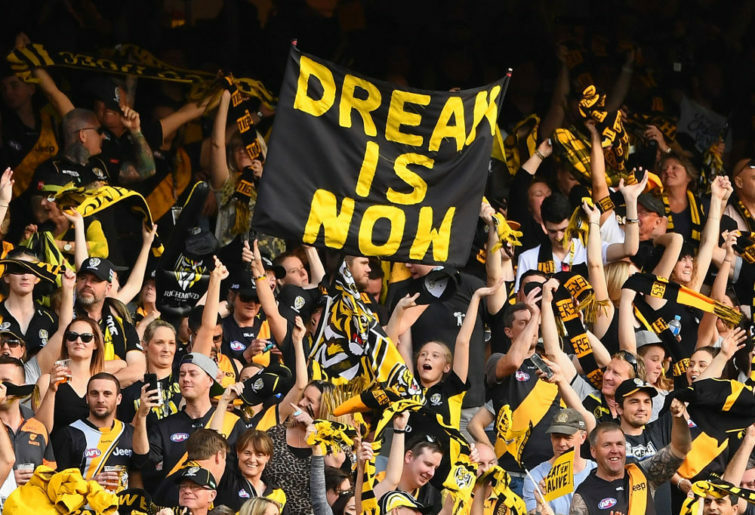 For all the talk of Collingwood coughing up a five-goal lead in the grand final, there can be no argument against the Tigers’ insipid preliminary final effort being the biggest choke last September. After undeniably being the best side all year in 2018, Damien Hardwick’s men were left to ponder what might have been. Their quest for redemption begins tonight against the side they’ve made a habit of toying with lately. Six players make their Carlton debuts, with the Blues making a whopping total of 13 changes to the side that took to the field in Round 23 last year. No.1 draft pick Sam Walsh has been named in the Round 1 side, while all four of Carlton’s offseason recruits make their way into the opening weekend lineup. A few big names are absent from the Blues side, headlined by injured trio Matthew Kreuzer (knee, 1-2 weeks), Sam Docherty (knee, season) and Caleb Marchbank (back, 2-3 weeks). Jack Silvagni has curiously not been named on the sheet at all, despite not being on the club’s injury list. Richmond have added three new names to their side, none bigger than star offseason recruit Tom Lynch. He’s been named in the forward pocket on a line that interestingly includes Dustin Martin at full forward. Team lineups meant little as to a player’s actual position in the past, but will the 6-6-6 era change this? Ex-Saint Maverick Weller and 2017 draftee Noah Balta are the other fresh faces, with Hardwick making four changes to the team that lost to Collingwood in last year’s preliminary finals. Will Tom Lynch and Jack Riewoldt work as a forward combo? How much of a good thing is too much? With Tigers spearhead Jack Riewoldt taking out the Coleman medal a season ago, some eyebrows were still raised when they opened the chequebook to Gold Coast’s Tom Lynch in the offseason – despite the year’s worth of rumours. There’s something to be said about how the signing of multiple key defenders or midfielders if often heralded as a good move, whereas having lots of forwards is met with a degree of trepidation. But in the case of a side lauded for their mosquito fleet of dangerous small forwards, throwing more tall timber down there will no doubt change the makeup. Will they unlock the secret sauce, or spoil the broth? Tonight will go some way toward telling us. How will Carlton’s new faces fare? Bolton has named six players to pull the Carlton jumper on the first time in tonight’s game, ranging from rookie excitements in no.1 draft pick Sam Walsh and mature-age recruit Michael Gibbons, to the more experienced imported quartet of Mitch McGovern, Alex Fasolo, Nic Newman and Will Setterfield. After years of overpaying for GWS rejects, it’s refreshing to see Carlton go out and claim some good talent from other clubs at (mostly) reasonable prices. It’s a deceptively strong crop of players to be introducing to a young side, could they be a difference maker in the season opener? Or, will they need a few more games until they start to gel? Will the new rules absolutely decimate weaker sides? As expected, there was significant consternation about the significant rule changes being brought in this season. One very reasonable concern raised, however, was that starting formations and runner restrictions could potentially see younger, inexperienced sides – who rely on constant communication and extra congestion to compete – ripped to shreds by the big dogs. You’d have to think that theory will get a good workout this evening. 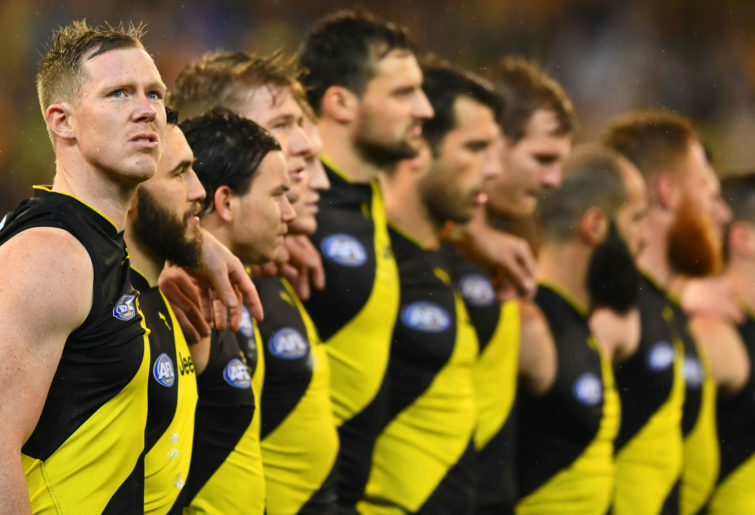 Richmond have won the past five Round 1 clashes between these sides, although their average winning margin over that time has only been 23 points. Prior to that, Carlton won five of the first six Round 1 clashes since it became a regular fixture in 2007. Carlton’s last win over Richmond came in the 2013 elimination final. At the time, it was their 11th win over the Tigers in 12 games. Carlton’s current seven-game losing streak to Richmond is the longest in the history of their rivalry. Prior to tonight, the largest crowd Tom Lynch has played in front of is 51,774 (against West Coast in Round 4, 2018). You’d have to have a particularly spiritual bond with Lygon Street to seriously tip the Blues in this one. That said, history suggests this won’t be a blowout. Carlton’s first-quarter heroics from a season ago would give them plenty of confidence and you’d think teething problems with the new laws will be enough to keep things close early. Carlton to stick around in the first half, before Richmond breaks the shackles and score a comfortable win. That’s my Thursday night forecast, what’s yours?